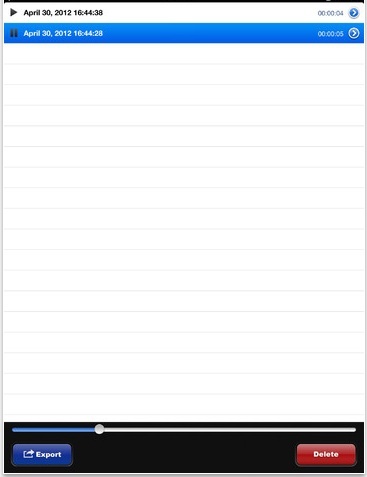 From time to time, we used to use our iPhone’s built in app to record short meetings. Everyone gets in a hurry and we gradually stop. Last week we were reminded of the need when reviewing several people’s notes that had differing opinions on the talking points and take aways. A recording would have really cut the after meeting discussions down. One issue used to be that recording with the iPhone meant the device wasn’t able to be used for other things. Running an app like the free Recording Pro has solved that problem. Recording Pro will let the iPad record the meeting in the background while you still use your iPad to look up documents, write notes or do a presentation. As a reminder, please always ask everyone in a meeting if it is OK you record the meeting, it’s the law. We have yet to have someone say no since a audio file stored away can really clear up how a decision was made months later when projects need to wrap up. Recording Pro is just one option, but this universal app keeps it simple so it gets the job done with less overhead. It is an audio recording app, not an audio mixing app. There is a tone when the app starts/stops the recording as well there is an on-screen animation showing the recording happening… important so you don’t have to check if anything is getting done by the app in the middle of the meeting. 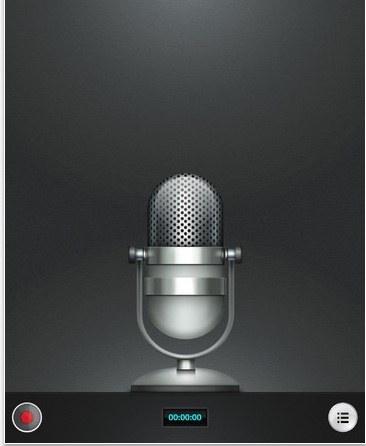 Recordings can be paused and restarted, as well renamed later. 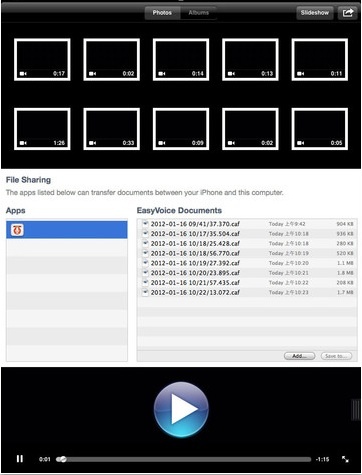 Management of the audio recordings out of Recording Pro can be done within the app or shared. Exporting to the desktop computer allows for meetings to be archived and retrieved when needed without having to use up all of the iPad’s internal memory. We put them on DropBox so any of the team can stream to their desktop/iPads to review.